Dates: 6 Thursdays, April 25-May 30, 2019, with bonus follow-up call. This webinar format allows people from all over the world to learn in the comfort of their own home or office using a computer. This course focuses on practicing, deepening and facilitating the Five Strategies of The Virtues Project™ through activities, exercises, talks, and individual or team presentations. 6 live webinars, connecting through VOIP and by viewing the presentation on your computer screen. Develop your skills and knowledge base with homework. Partner between sessions with class participants. A high-speed Internet connection is required. You may also use the phone if your internet connection isn't reliable. You are responsible for your own long distance phone charges to the U.S. conference phone number. All sessions will be recorded. Participants MUST ATTEND most of the live sessions. "You guys did an amazing job! There was excellent structure in this webinar and I could really feel your compassion, peacefulness and love coming through in how you both spoke and presented the materials. "– Cathy K., U.S.A. I had looked forward to every session, knowing that I will learn lots from you, that you will share your knowledge and your skills ever so generously. Betsy your hearty laugh and personality and Heather your calm and thoughtful voice complement each other perfectly! I also felt a special warmth for all the wonderful women in the group. 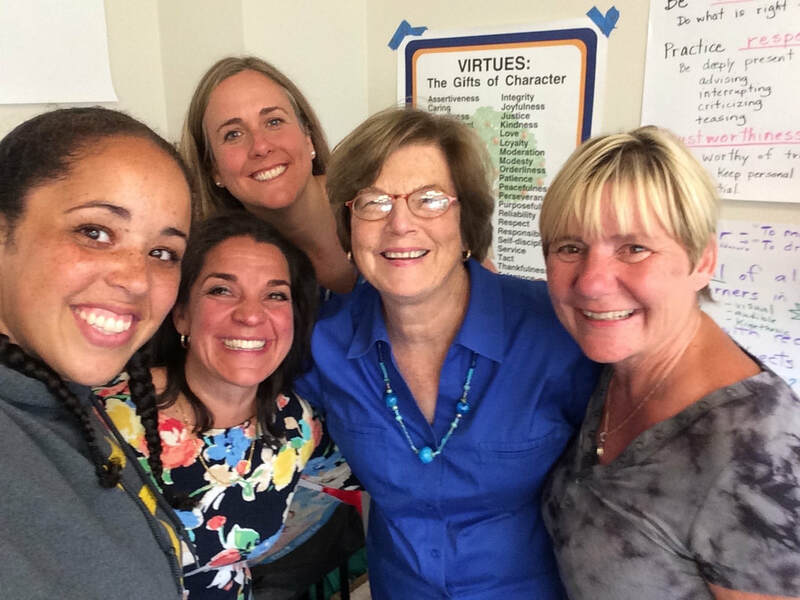 I enjoyed connecting with others using the virtues as a hub in their lives to nurture their own spiritual growth and service. Being with like minded people with similar vision is very enriching. Seeing so many creative ways to expand and personalize the work we are all doing was very helpful. AND, thank you, for your loving support and encouragement during this process of practicing new skills and getting experience reaching for excellence in all that we do. Y'all truly pulled it off. I was juggling the choice of a local class vs the webinar and could not imagine how the webinar would meet the learning needs. Since I had previously taken the intro course with them in the same manner I was compelled to learn from them again. Heather and Betsy have the creativity, presence, communications skills and expertise to teach effectively via the webinar format.